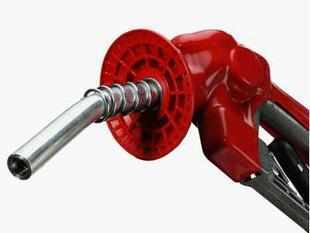 NEW DELHI: In lieu of the fact that diesel amounts for 60% of under-recoveries, the government may fix a per litre subsidy on this fuel to bring predictability in expenditure. According to ET Now sources in the government, a permanent solution for the approximately Rs 1,80,000 crore under-recoveries for this fiscal is being thought of. A per litre subsidy on diesel will imply that oil marketing companies will not be reimbursed on an ad hoc basis for the losses that they incur. Instead a compensation of fixed amount on a per litre basis would be given. The relatively fixed subsidy burden can be brought down in case global crude oil prices decline. Last year's economic survey and renowned economists like Kirit Parikh and Kaushik Basu have already recommended this form of subsidy in the past. This however, does not rule out the chances of a hike in diesel prices, reported ET Now. A Re 1 hike on a ten-month basis is unlikely to find political favour. Government sources told ET Now the staggered hike would result in a cumulative increase of Rs 10 per litre at a time that is very close to the general elections. The petroleum ministry has proposed a gradual rise in diesel prices, by 1 per litre every month over a 10-month period, in order to avoid controversy engendered by steep hikes in infrequent revisions. The ministry's timetable for a rise in kerosene prices is even more glacial, 10 per litre over a two-year period. "We are pushing for a 10-per-litre increase in diesel prices over next 10 months," said a senior petroleum ministry official last week. The under-recovery on subsidised diesel is Rs 9.28/litre. Prices of diesel, which currently costs Rs 47.15 per litre in Delhi, were last revised on September 14 when they were raised by a steep Rs 5.63 per litre, provoking massive protests. But, with India facing the possibility of a downgrade by global rating agencies unless it takes steps to rein in fiscal deficit, the government has no option but to bring down subsidies to meet milestones promised in its fiscal consolidation road map. The government plans to cut fiscal deficit to 4.8% of GDP for the year ending March 31, 2014, from 5.3% of GDP this fiscal.